I’m a 20 y.o. girl and I’m on the heels of a Thanksgiving binge. It makes me feel a lot like I’ve failed; I know I went into this holiday hoping to lose a couple pounds (I’m at the highest I’ve ever weighed), and this slip-up makes me feel really bad about myself. I know how illogical it is, but I need some encouragement on this. I felt as though I’d been doing well with my eating before tonight (with a few slipups here and there), but I really want to: a) weigh my target, set-point weight and b) beat binge eating once and for all. I know purging won’t help, so that’s not an issue, but this is hard. How do I get over this guilt? How do I balance losing a couple pounds with fully relearning how to eat normally? What is your next right thing? What can you do to go forward instead of staying in the binge? What can you do to move yourself out of this instead of stay in this? 1.First off, let go of it. Thanksgiving happens once a year. 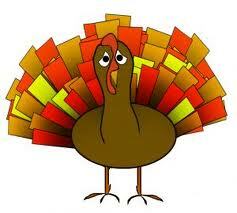 It’s the holiday where the whole country winds up in a food coma. You’re so not alone!!! Be kind to yourself and forgive yourself. Part of the eating disorder is extreme guilt and shame for doing something normal. Part of recovery is noticing the guilt and shame and naming it as part of the disorder rather than as something to really buy into. 2. Tomorrow will be a good day. When you wake up tomorrow morning, nurture yourself with a healthy breakfast. If you are just not hungry, let yourself relax and have some green tea with lemon, and a light breakfast like some fruit and eggs. Eat it very slowly and mindfully and allow yourself to eat without guilt and shame. You are eating for heath and nutrition. Drink lots of water throughout the day to help your body process your binge and let go of retained water. 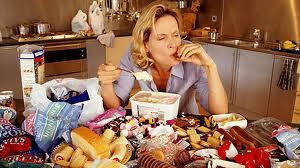 Whatever you do, don’t restrict your food on Friday to undo the binge. Trying to undo the binge only keeps you in it. 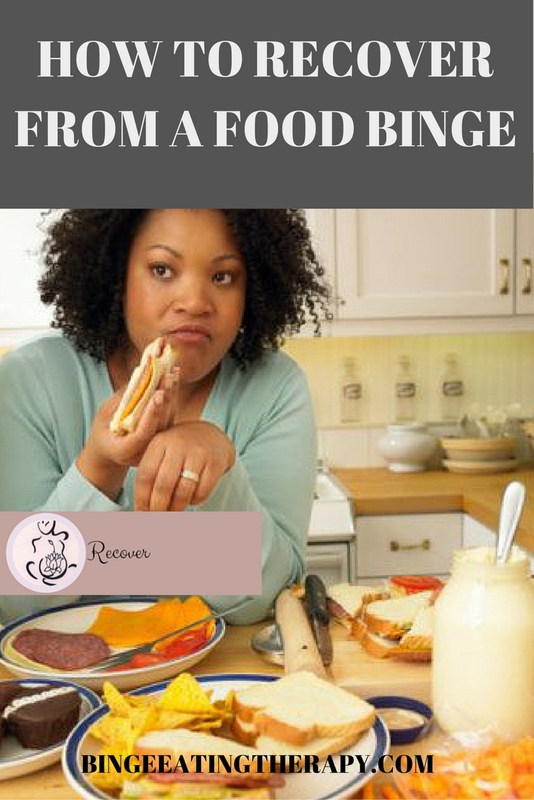 Returning to normal eating as soon as possible is integral to getting back to yourself. 3. Do some light exercise such as a long walk in a beautiful setting to help calm your mind as well as to help your body feel empowered and light. 3. Try some meditation for food and eating issues. It might enable you to slow down and think about food in a less anxious more peaceful way. If I can’t diet, how can I lose weight? I hope that this answers your question and you’ve found this helpful. 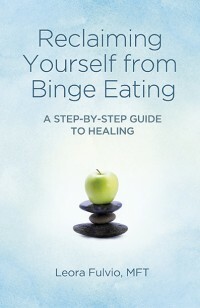 Do you have a question about binge eating, bulimia, anorexia, or anything associated with eating disorders? Send an email to bingeeatingtherapy at gmail dot com. All questions will be kept confidential. Include your first name or the name you want to be referred to as and your location. On another note, I have an inbox full of Q&A’s that I’ve not gotten to. For that I apologize. I will be answering all your questions soon!